One of the largest collections of human waste, the Great Pacific Garbage Patch, is affecting ocean life. Plastics in the waste are breaking down into small beads and are consumed by marine creatures. Will international action occur to reduce this waste and prevent further harm to these species? Figure 1. Plastic waste washed up on the coastline. Courtesy of Justin Dolske, 2016, FlickrCommons. CC BY SA 2.0. Figure 2. Albatross chick at Midway Atoll Refuge. 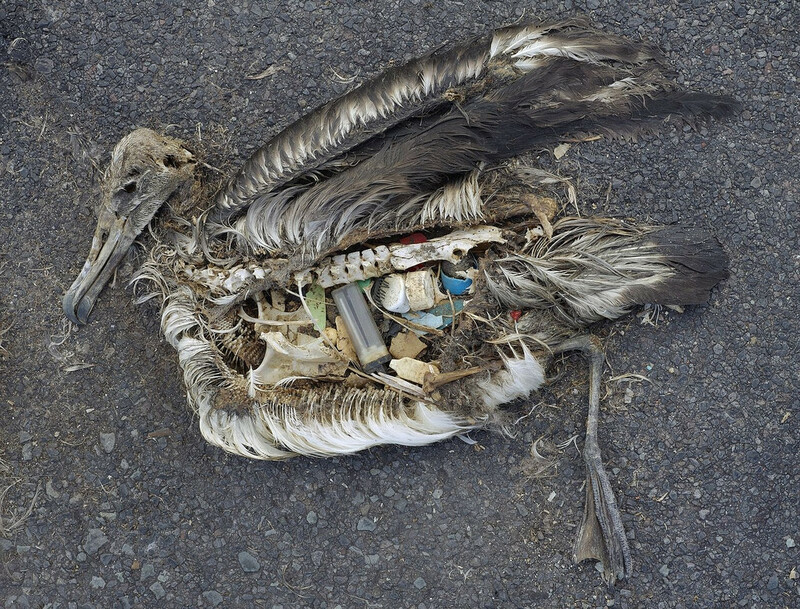 Albatross feeding grounds have become littered with waste, specifically plastics. As the albatross feed, they mistakenly consume these larger pieces of plastic. Plastics are also fed to chicks by parents, as can be seen by examining the stomach contents of this deceased Albatross chick. Photograph by Chris Jordan, 2009, FlickrCommons. CC BY 2.0. Figure 3. Microplastics occur when large pieces of plastic waste degrade and break down. A piece of plastic is classified as a microplastic when it is less than 5 millimeters long. These small plastic pieces originate from a variety of plastic products. Despite their small size, they can still be extremely harmful when ingested. In formal studies, scientists have found that nearly 50% of fish examined have plastics within their stomachs. Courtesy of 5Cyres, 2012, FlickrCommons. CC BY-SA 2.0. Another explanation for the disappearance of plastic in the oceans is that the microplastic debris is falling to the ocean floor.2,3,6 The plastic fragments ingested by small fish can be transferred to larger predators, sink with the bodies of dead fish, or be defecated.3 Deep-sea marine life may be enduring long term harms that humans have yet to discover, since much of the ecosystem is too deep to be thoroughly researched. 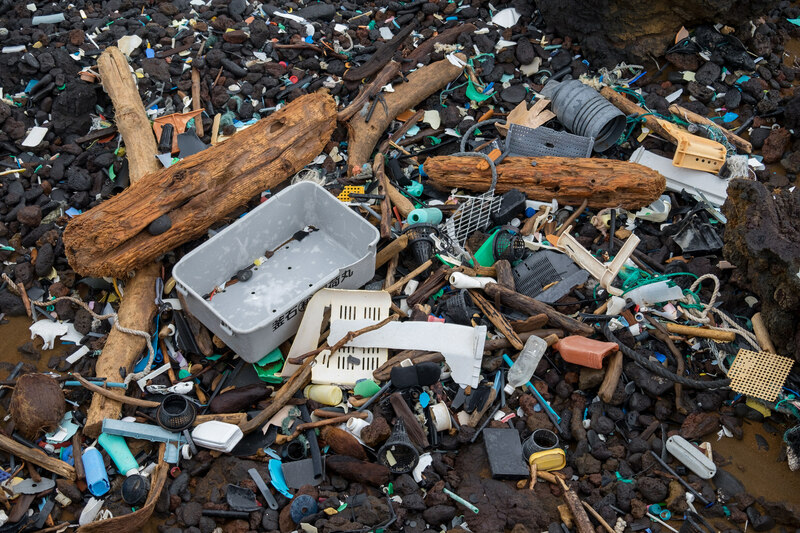 The issue of microplastic plaguing the oceans needs to be addressed at an international level. The International Convention for the Prevention of Pollution From Ships (MARPOL) was signed in 1973, although a complete ban on the disposal of plastics at sea was not enacted until the end of 1988.11 Despite 134 nations agreeing to eliminate plastic disposal at sea, governments have struggled for decades to reduce dispersion of plastic debris and oceanic sampling suggests that the problem has persisted or worsened since MARPOL was signed.11 Despite numerous studies, the long-term issue remains that scientists cannot trace where all of the plastic particles have moved and therefore cannot collect all the particles that filter into the ecosystem. The only way to prevent future harm to marine life is to reduce human consumption and enact better disposal methods. If it is not possible to reverse the damage that has been done, prevention needs to start at the source. Figure 4. Garbage Patch Visualization Experiment. Courtesy of Greg Shirah and Horace Mitchel, NASA Scientific Visualization Studio. Public Domain. 5Cyres, Oregon State University. (2012). 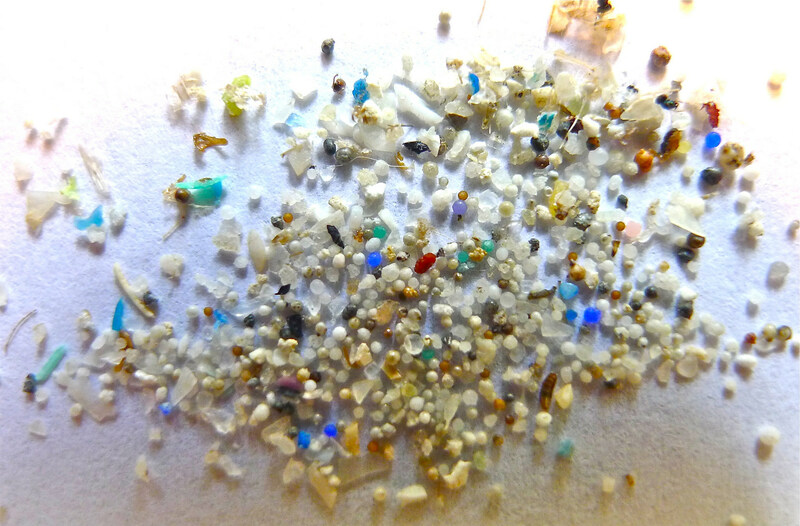 [Photograph of microplastics]. Retrieved from FlickrCommons. CC BY-SA 2.0. Bombardier, Joel. (2005). [Photograph of recycling bins]. Retrieved from FlickrCommons. CC BY 2.0. Dolske, Justin. (2016). [Photograph of the great pacific garbage patch]. Retrieved from FlickrCommons. CC BY-SA 2.0. Jordan, Chris. (2009). [Photograph of albatross at midway atoll refuge]. Retrieved from FlickrCommons. CC BY 2.0. Shirah, Greg and Horace Mitchell, National Oceanic and Atmospheric Administration. (2015). [Video of garbage patch visualization experiment]. Retrieved from https://svs.gsfc.nasa.gov/4174. Public Domain.